Do ADHD People Live Longer? Posted on January 5th 2013, by Kevin. Being good at sitting still, keeping your mouth shut, and settling into routines might be good for school, but not for long life. A brand new study has found that a gene that is strongly associated with ADHD also strongly correlates with longevity. This exciting news highlights the fact that an ADHD predisposition carries many benefits, most of which are just not discussed. The gene variant under examination in the study is a dopamine-receptor gene — called the DRD4 7R allele – and it appears in significantly higher rates in people more than 90 years old and is linked to lifespan increases in mouse studies. This is not just a fly-by-night assertion. The scientists leading this study are world famous: Robert Moyzis is a professor of biological chemistry at UC Irvine, and Dr. Nora Volkow is a psychiatrist and researcher at the Brookhaven National Laboratory, and also directs the National Institute on Drug Abuse. This variant gene is part of the dopamine system, which is involved in the transmission of nerve impulses. It is part an integral part of the brain network responsible for attention and reward-driven learning. The DRD4 7R allele essentially weakens dopamine signaling, which then enhances a person’s sensitivity and reactivity to the environment. This variant is also associated with addiction, and is often called the “novelty-seeking” gene. When people with this predisposition do not find positive outlets for stimulation and excitement, they get these needs met negatively, as any teacher of a bored ADHD child will tell you! As Dr. Moyzis said, “People who carry this variant gene seem to be more motivated to pursue social, intellectual and physical activities.” Children with this gene variant need adults who understand their genetic hard-wiring, and who can thus help them properly channel their need for intensity and new stimulation. Moyzis also pointed out that, “While the genetic variant may not directly influence longevity, it is associated with personality traits that have been shown to be important for living a longer, healthier life. It’s been well documented that the more you’re involved with social and physical activities, the more likely you’ll live longer. It could be as simple as that.” Let’s not forget that being active is crucial for successful aging, and it may delay or deter the advancement of neurodegenerative diseases, such as Alzheimer’s. We live today in a largely sedentary, farmer-like society. The movers, dreamers, and risk-takers of the world struggle to get their needs met, and live up to their full potential. We need to realize, as a society, that these people hold power to imagine, create, and discover. We would only be doing ourselves a favor by helping them channel their innate gift for innovation. And maybe, as a result, we would all live happier, healthier, and longer lives! Mazowieckie Centrum Fiskalne poleca najlepsze kasy fiskalne Warszawa. Dobra kasa fiskalna Warszawa w Mazowieckim Centrum Fiskalnym. This explains soooo much about myself my brother and my 20 year old son . I’m presently at a brick wall with him , He is struggling with Pot addiction and video gaming addiction, and social anxiety. He has found evidence of course online that pot treats ADHA and anxiety.He is fed up with prescribed meds as he gets side effects and has been on most .He is stuck in neutral between high school and college. Wants to be a computer engineer. Barely got through high school due to severe school anxiety. He always tried to go forward. I need to find the help that he will accept. He has always seen and is presently seeing a therapist. Do you have any suggestions? The article supports my instincts as a mom who saw that my child always needed physical stimulation to be able to succeed in academics. We have not found the right combination for him to be successful in life. Thanks for enlightening article . I will not give up. Cathy, how can I help? Cathy, this comment went to spam. I am sorry for having taken so long to reply. i sent you an email message. How can I help? Pot is a relatively inexpensive way to calm the racing mind of a person with adhd. I’ve seen it time and time again. It’s also a way to mess up your ability to focus, stay motivated. Coming from someone who didnt start address his ADHD/ADD until he was an adult, there are a lot of ‘pieces’ that need to be in play for ‘success’. None of them are good intentions, intelligence, or desire. Having hit rock bottom at age 24 (literally $5 in my pocket, $20-30k in debt, and no where to live) this realization hits hard, parital assistance usually is more likely to enable than help. 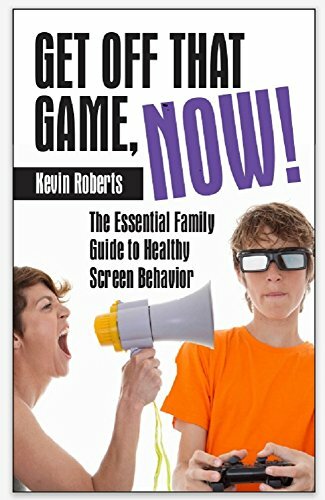 I haven’t read the author’s book, but I have many and the only one that Ive seen discuss the concept of balnace and focusing on what works is “Driven to Distraction”. Lastly, you may wish to consider that success is a meaning and only definable to the individual trying to acheive it. (You mention his career goals). While I wouldnt reccomend going through the 6-7 years of mess I did after dropping out of high school at 17, I draw on the wisdom and experience it provided me daily. Anytime my parents tried to help financially, or in making my life easier, they just ended up enabling me. So my point is this. Love him with all your heart. Open doors to him that he cannot open himself and don’t get frustrated if he wants to go right back and close them. Help him figure out what gives him satisfaction, contentment, and peace in life, rather than what you/others think may/may not be succes. Self-actualization (look this up) occurs for ADHD/ADD individuals too easily and the problem of feeling that fulfillment isnt the issue. The issue is finding the supports in life they work will with, can rely on, and that are positive benifits. Do that first, look for acheivement success at the last item on the list. I should also add that I am now A 34yo degreed programmer who is a husband of 8 years happily married with two daughters. My family (immediate) is my life. They are my critical piece supporting all the others that keeps me balanced time and time again. I apologize up front; this message will be a lengthy one. I never posted anything or talk openly about my condition, ADD without hyperactivity. I am responding to the comment of the author of the book. Regarding emails stating that he “sugar coats” the disorder. It is evident that these people do not understand the issue at all. I just bought the book Movers, Dreamers and Risk-Takers, and I must admit I did not expect to find it so hard to read. I mean emotionally. I am 24 years old women, and this book should have been read by my parents when I was a child. I recognized them in this book and realized I am not alone. As a child, I was not suspected to have ADD mainly because back then it northern Quebec it was unknown but also because I was rather quiet and not hyperactive. I was day dreaming a lot. At 16 years old I was not allowed to use the oven because I would forget it on. I had my house key on a necklace around my neck because I would lose it all the time. I would forget appointments, late for the others and could not meet deadlines. Also, often when a simple task was asked to me, I would overdo it, going beyond the scope of the course, ergo not meeting the deadline. I needed more time at school for exams, back then it was not an option. For my parents, and everybody around me, I was a trouble girl, irresponsible and disorganized. I would question authority if a “why” was not explained to me. My dad was of the type to use is belt for an answer, so although my sister went through her childhood and teen barely brutalized, I had my share of discipline. My free-thinking was just stronger than my fear. Sadly, I was born that way. (Later in my teens, I acted up against my dad by having an older boyfriend. Classical) Never my parents questioned if there was a medical explanation for my behavior. All my life I have been told I would not succeed. My dad even spent my tuition fund and told me I would only become a waitress and never go to college anyway. My high school grade were fine, but when I started college things got bad (working and funding myself). I failed courses after courses even though I would ace my labs and home assignments; I could not perform during exams. I had difficulty making friends because I would not follow conversations properly, and people felt I was not interested in what they were saying. I became more and more isolated. I am from northern Quebec, Canada. At 21 years old, I was running 20k a week as I realized exercising would help me focus. I was so thin. It was scary. In that same year something happened that changed my life, I was on my way to school and I was about to cross the street when a little piece of paper fell from my pocket. I could not recall what it was and stopped my motion to carefully pick it up and look at it- a simple memo of some sort. I continued walking while reading the memo but I totally forgot I was crossing the street. I got bumped by a car. Then, the school nurse that heard about the even from a teacher talked to my parents and I left the school clinic that day with a prescription of Adderall. I was depressed. My GPA was so low I could not get in college unless I change province. (When I said college sooner, I actually meant Cegep, which is after HSchool and before Uni. Quebec has a different education system). A few months later, I woke up one day and gave a week notice to everybody: I left my family, broke up with my boyfriend, quit my job and took the first flight available to Calgary, Alberta. I learned English while working in a French bakery and also completed upgrading courses full time at night. My parents told me I would not be able to get in University there. I had a 98% average. The following year, I got in the Schulich School of Engineering at the University of Calgary with two grants and a scholarship. Even then, my parents refused to help me financially stating I would not finish it. “Things never play out as you say it wills Esther”. “When you were in journalism in Montreal we paid for nothing” They would repeat all the time. For them, I had no head on my shoulder, too erratic to accomplish anything. Even though they were now aware of my ADD they never fully accepted it. I will be always marked by what I went through as a kid. I will always have to calm my inner anxiety of failing, and fight to not get paralyzed by it. I am still struggling at school and wish there was a competent life coach for ADD in Calgary. My first semester went well in Calgary. With my recent good grades, I was finally confident in myself that I was able and it gave me the motivation I needed to organize myself and focus on my study. I developed color coded note taking, I had 5 white boards on my wall (ex: one for appointments, one for assignments, one for to do lists…) However, Everything collapsed 2 weeks before the final exams: I was on my way to take the bus when I got dragged 20 feet under a pick-up truck in a cross-walk (wasn’t my fault this time, the moron turned right on a red light without looking). I survived without permanent injury because I had the crazy reflex to make a step forward to make sure I was facing the middle of the car, grab the grill of the bumper with my hands and to hold on to it. I lift my body just enough so that the friction would not make me slide under the wheels. The driver was looking behind him as he turned, never knew I was under there until he stopped and got out of his car after noticing spilled coffee on his hood. I was tag the Ninja at the ER. I ended up with 5 deferred exams, 60 pages of mail correspondences with the Dean office to sort out my situation, physiotherapy appointments, doctor appointments, lawyer appointments, and on the top of it, I had PTSD; I was afraid to cross the street again. So you can imagine the nightmare- tons of appointments I would be late for or missed. Administrative clerks I would feel I disappoint and I was going to graduate a year later than planned. The entire organized environment I built in two years was chattered and chaos was at my door again. I failed courses after course the following semester. I had lost my confidence, I was too anxious to focus and too depressed to make an effort, and the old thought came back, creeping my nights again – I was doomed to fail. Working hard in vain? I was too scared. On a subconscious level, when you fail but did not REALLY try, it is easier to cope with! My parents would repeat “I told you so, we knew it would not play out like you said.” They were not there, they did not see the accident, and they could not understand my PTSD. I was alone in another province and totally lost- but I did not give up (perhaps, motivated by my spiteful dad). I went to see a shrink in the private for my irrational fear, it took me 8 months but I fixed myself. I stop answering the phone to my parents for 6 months; I cut all communication for my sanity. They would only repeat to me that I was not normal, that I better open the door and cross the damn street or it would mean that I really did not succeed anything in my life. They would even suggest that I did not want to cross the street, that I was wallowing myself in the misery. Now, since things are back to normal, my parents deny their lack of support and I am the beloved daughter again. I advocated my situation to the University; I am having my last deferred exam at the end of this month. Some days I am sure I am going to fail this upcoming exam as I am already overwhelmed by my winter semester courses (multivariable calculus, Eng. statics, physics, Eng. pipe flow and chemistry of fluids.). Every day, I am confronted to the misunderstanding of teachers. They see ADD accommodations as a way of students to get advantage of the system. They see absences from lectures as a sign of incompetency. They sometimes grade my exams more severely because they know I had extra time (I did fight and had it re-corrected a few times). Even though our disorder is advertised and progress were made in schools to accommodate, discrimination and pre-conceived ideas are still what we are confronted to everyday. Some programs may be stiffer than others though. Sometimes thought, you meet one teacher that understands and makes all the difference. I am sure that my struggling and story are not that much different from many other ADD people. I would have never made it to university without Adderall, or even have a life close to normal. So now, for the love of god, who dare say we are sugar coating the disorder?? Those “sugar coatings” are the only thing positive and truthful I have read about myself in years, and they give me the leap of faith necessary to persevere and to tell myself; who cares if I don’t fit in, my place is still in Engineering. In bad moments, I close my eyes and remember a special day of last year: In my engineering design course, when I was the only one of all the 700 first year undergrads, who successfully built a compound mechanism machine that moved, sorted and stacked random objects across a table without human intervention using a wind turbine I made, a rope, a ramp, inclined slits, magnets and tracks. It was the simplest design of all and the only one that worked. My teacher was blown. This was a challenge that was not meant to be done; the purpose was to merely evaluate the process of trying to solve it. The teachers basically randomly elaborated tasks for a mechanism with random constrains without even being sure themselves if it was doable without, let’s say, programming robots. I was praised for the first time in my life and at that moment my head was screaming from within: I knew it all along; I knew it all along that I was smart. Nobody around us tell us that we’re smart. On bad days, I clutch onto this memory like my life depends upon it. And if someone praise you, don’t listen to those that argue it is an embellish truth, they have a misplaced envy. It’s okay for us to be different, as long as only the downsides are being acknowledged. Secretly, they wish they were too. Thank you. Thank you so much for your remarks. Your comments here give me chills. I wrote this book for myself, and I wrote it for you. Please let me know if I can help you in any way. Wow! If we had this kind of honest outpouring on here on a regular basis, we would have something truly magnificent! Thank you so much for your truth. i am honored that you felt this site was a place you could share this. Sounds like you have a book or two in you too!!!!! Fascinating post. I have a couple of friends with ADHD and all of them are social butterflies with a huge amount of creativity inside their mind waiting to be released. However, they are sometimes a little off-topic and reckless in class which leads to admonishment from teachers and other students. This article is awesome because I learned that individuals with ADHD just need to be guided into the right direction and understood, and maybe their ‘disorder’ can be perceived as beneficial! I will definitely show my friends with ADHD this article and hopefully it will spark something inside of them. Great read. Thank you. And with that in mind, Janson, some environments, like our modern school system, are generally not conducive to bringing out the strengths of people with ADHD. I am up for it, indeed! Definately an article to make the grey cells start sparking! If true, what great news. Although folk with ADHD are renowned for taking more risks generally in life (and in my opinion, more fun to be with) . The fact that most adders need more exercise and stimulation than the average person would seem to indicate therefore that an adder generally socialises more. Hopefully this over-socialization does indeed keep dementia etc away too. Thank you Nicky. Just FYI, I have been getting emails from people who express concern that I am sugar coating ADHD. For the record, I understand there are problems. We tend toward taking risks, struggle maintaining healthy routines, and have an astronomical risk for addiction. I maintain that if people like us are identified early, we can start to celebrate the gifts and the potential from early on, and limit those very real risks. In the vast majority of cases, ADHD children are medicated because of performance in school. Well you know what? I think it’s time to change the schools, because if we had educational institutions geared toward the rhythms of ADHD, these children would succeed beyond our wildest dreams! And yes, for most ADHDers, the condition could very well take years off our lives. But, channeled and understood properly, the condition seems to add years. As Dr. Smalley says, ADHD represents a condition of EXTREME FORMS of underlying useful traits….. Spontaneity in an extreme form becomes impulsivity. Creativity becomes distractibility. And on and on. Yes Kevin, I agree with you 100% about kids being medicated purely to cope with school etc. I have come to the point where I personally believe that all the governments, are not actually interested in identifying and therefore helping people with ADHD to learn how to cope. But are more than happy for said people to pill pop yet are still not provided a suitable educational environment due to ignorance, apathy or whatever other reason. All the lip-service paid to helping people with ‘hidden disabilities’ is great in theory. The truth however in my humble opinion, is that an unsupported adder throughout school is made to feel like an alien or fool, etc especially in light that they have a much higher chance of other conditions such as dyslexia, dyspraxia etc. This is called discrimination & it makes me so mad!! Is it any wonder then, that prisons & psychiatric services across the world are full. This is not a ‘new’ disorder, so why are governments still so reliant on big pharma to help? Don’t get me started on that! Schools have a fundamental lack of understanding, Nicky, and this hurts everyone, because I believe in my heart that the innovative spirit so common with ADHDers is what this world really needs! This article is proberbly one of the best pieces of information I have ever read . So interesting and exciting for me at the present time as I am battling with educational needs for my 12 year old son with ADHD. He was medicated but had to come off it because the side effects hospitalised him. I couldn’t agree more with the sooner it’s dealt with the better , I just wish the schools had the same view . My son is very bright and feel he is being held back by no fault of his own . He is being held back by teaching staff that don’t understand the condition . If they could just channel his interests and praise him for his work instead of trying to regiment him and being so demanding in subjects that are never going to be of interest. Thank you ! My son went to a school that kept him out of chorus because he skipped and sang all the way done the hall for try outs he was so excited. He is now 20 and never sang again after that 2nd grade experience. Now for the hard part .HOW? Well, what do you think the hard part is? Where is he in his personal growth? Excellent point, Michael! 🙂 Speaking of exercise, I need some now! Thanks for the reminder.